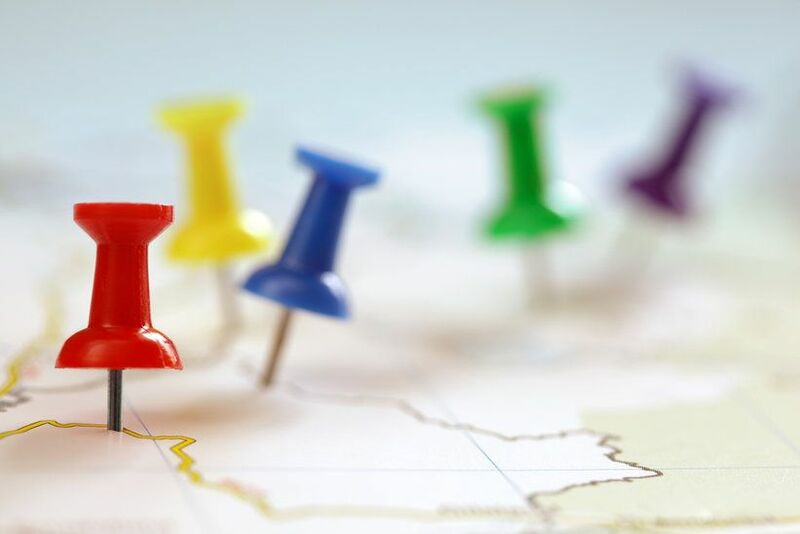 Local SEO Guide, in conjunction with PlacesScout and the University of California Irvine, recently published their first-ever Local SEO Ranking Factors Guide. They looked at 100+ factors across over 30,000 different businesses to determine the top factors that correlate with higher local SEO rankings on Google. I provided a breakdown of some of the top takeaways below, with a brief description of what each one means. To be honest, there are a few factors that I needed clarification on because of the way some were worded. I wrote this post help business owners (especially local and multi-location businesses) and non-SEO types understand what each of these factors mean in layman’s terms. If you’d like to see the full guide and details, you can check out the results here. In addition to PlacesScout’s proprietary software, Local SEO Guide also used data from Moz’s Open Site Explorer API and Majestic. You can read more about their methodology here. The results were broken down into two main segments: ordinal variables and categorical variables. Ordinal variables are the individual factors, based on how much of a positive correlation they have with Google local pack rankings. Categorical factors were mostly based on yes/no conditions and how they related a website’s local rankings, like whether or not a local business included a keyword in their business name, or whether the site was http vs. https. Google Reviews – the total number of online reviews and average star rating. This is one of the reasons why I see Google Reviews being more powerful than Yelp, BBB, and all of the other review sites combined – Google Reviews are integrated directly into search results, and appear to have a very high correlation with local rankings. Profile views – the number of times users have visited a Google My Business (GMB) profile. Before you go on Fiverr and order a bunch of profile views, keep in mind that there is likely a lot more going on here than just views. I would imagine there are other engagement factors lumped in, such as website clicks, phone calls, and users asking for directions, which may be overlooked if you’re focusing solely on views. Majestic AC Rank, Trust Flow and Citation Flow – these metrics estimate how much Google trusts a site on a scale from 0-100, as well as how much link equity is passed to a site from external linking urls. It’s probably worth noting that Majestic metrics accounted for three of the top 10 positive ranking factors, so you might want to consider creating a free Majestic account to keep tabs on where you stand. Referring subnets, IPs, and domains – the total number of linking domains, IPs, and subnets/c-blocks (IPs that share the same final octet). Google may use this information to determine link diversity. In theory, your number of linking c-clocks and subnets should rise with your total number of linking root domains. That being said, the relationship between linking c-blocks and SEO isn’t talked about much anymore. In most cases, if you’re running a legitimate site, and you’re not relying on link schemes to build links, you don’t have to worry about this much. Photos – the total number of photos on a GMB profile. This is probably the lowest hanging fruit of all positive ranking factors. I’d recommend that all businesses upload as many quality photos as possible. At a minimum, I’d start by adding a logo, a profile photo, and a cover photo. Additionally, you can add team photos, interior/exterior photos, and product photos, to make your listing stand out more. Percentage of backlinks with city name in anchor text – the percentage of links to your site that contain the city within the anchor text (the clickable text) vs. the urls that don’t contain the city. I’m not a fan of using anchor text strictly for SEO purposes, but if you can find some natural ways to work your city into some of your anchor text, it could potentially increase your local search relevancy. Organic ranking – your website’s organic ranking. This was the highest observed correlation of the entire study. If a site ranks in position 1-10 in organic search results, there is a very high likelihood that it will rank in position 1-10 in the local pack listings. I’ve personally seen a very high correlation with clients’ organic and local rankings, so I can attest to this one. Keyword in business name – whether or not your business name contains your target keyword, i.e. ABC Plumbers of Miami. I’m really hoping this is just a correlation, and not actually factored into Google’s local rankings algorithm, because it seems like it would be fairly easy to game. The only time I would consider doing this is if you’re in a highly competitive niche, and you’re starting a new business. In my opinion, it’s just not worth the headache of rebranding and migrating your domain for the possibility of a marginal rankings improvement. Google review binary – instead of total number of reviews, this is comparing businesses with no reviews vs. businesses with 1 or more reviews. All the more reason the get those Google Reviews! Has a mobile website – whether your site is mobile-friendly or not. This one is pretty self-explanatory, and not at all surprising, since Google has taken several steps over the years to reward mobile-friendly sites with higher rankings. If your site still isn’t mobile-friendly, you probably want to get on that a.s.a.p. Backlinks with keyword in anchor text – the number of links to your site that use your target keyword in the anchor text (clickable text). In addition to anchor text containing the city, it appears that keyword-rich anchor text may also have an influence on local rankings. I’d keep this in mind in the event that you have the option to choose what anchor text sites use when linking to you, but I wouldn’t let this play such a large role in guiding your link building efforts, since manipulative link schemes can get your site penalized by Google. Has photos – businesses that uploaded photos to GMB vs. businesses with no photos. We already covered this, but since it’s also included in the top categorical variables, it’s worth mentioning again, since it has such a high correlation with local rankings, and it’s very low barrier factor in terms of implementation. If this study proves anything, it’s that local search ranking factors and organic ranking factors aren’t all that different. If you’re investing the majority of your time optimizing your GMB profile, and 3rd party sites, like Yelp, instead of focusing on link building and on-page optimization, it’s going to be very difficult for you to outrank your competition on the local level. It’s also important to keep in mind that all of the factors listed here and mentioned in this study are based on correlative data. These factors should help guide our local SEO decisions, but they shouldn’t be treated as hard and fast rules. If you have any questions about anything in this post, or about local SEO in general, feel free to send us a message, and we’ll be happy to schedule a time to talk. If you have anything to add, drop us a comment below. You can also check out my recap of Moz’s 2015 Local Search Ranking Factors Survey here to see what’s changed since last year. ← PreviousDark Traffic: What is it, How Can I Find it, and How Do I Fix it?